DWP-Driving while photographing. Looking upstream from Penitentiary Road. I found myself in Yuma, AZ, looking down the banks of the Colorado River from the old Quartermaster’s Depot, a complex of old adobe and more recently constructed buildings with a bright green lawn in its large central court. After a long drive through the California desert, the lawn was a little surreal, but not nearly as much as the sight of an irrigation canal I’d seen, flowing at full-tilt, through a nearby residential neighborhood. It almost looked like any number of our flood control channelized waterways at mega-flood stage – except the sun was shining brightly upon us. And like the flood channels, the irrigation canal was flanked by an access road and a bike path, although it was lacking the requisite chain link fence that Los Angeles liability lawyers would have no doubt imposed on the canal, as that baby was pumping. And yet, even with tidy single-family dwellings dotting the street, it seemed barren, lonely. The streets were absent people – pedestrians, children playing, bicyclists. It was 70˚F outside. Standing there, on the banks near a defunct stream gage, the dissonance between the earthtones of the desert, the hard greys and greens of asphalt and concrete and cars and lawn and monocultured lettuce fields, of industrial development’s footprint on the land and on this withered anemic river, whose water seemed almost still, made me a little dizzy. But, unbeknownst to me, I was fighting a bacterial blood infection (and then some), so if my impressions seem fevered and lurid, well, it may have just been me – or Proteus OX-19. But back to the river, and the Quartermaster’s Depot. This, along with an old jail, are two of the oldest buildings in Yuma, on high ground, looking over the Colorado River. The Quartermaster’s is where mules were kept, hauling goods out of the steamers coming up from the Sea of Cortez (aka Gulf of California). Is the visual of a steamship coming up this channel playing tricks with your mind? Today the river flows around 500-700 CFS at Yuma. For those of us used to seeing the LA River base flow run between 50-100 CFS at its confluence with the Arroyo Seco, this may sound impressive. But a quick bit of addition of the base flow of tributaries suggests that the Colorado’s base flow may have been 12,000 CFS or more historically. And floods of 100,000-300,000 CFS were not uncommon. 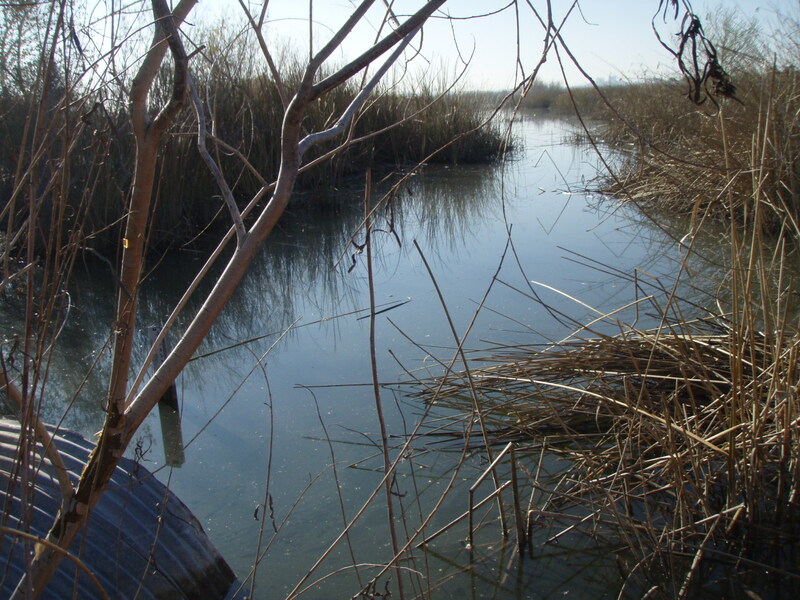 As Mark Reiser in Cadillac Desert describes it, the river would also occasionally backwater into the Salton Sink – creating a temporary lake not unlike the one we know today at the Salton Sea. The loss of stream power with the loss of floods has also encouraged sedimentation in the channel – the main channel would have naturally scoured deeper than it does today. Here’s a cool hydrograph showing the flood regime of the Colorado River pre- and post-everythingthatwasdonetoit. As you all know, it is considered the most highly managed river in the world, overallocated, each drop of water spoken for (and reused). Colorado River hydrograph at US/Mexico Border. Image: Alejandro Hinojosa, from a slide in “The California-Baja California Border Region, Water Related Remote Sensing Applications. Downloadable at the Water Education Foundation. http://www.watereducation.org/doc.asp?id=1952 English language annotations are mine. Unusual snow in the 1980s resulted in high levels of runoff that had to be released from dams. I’ve marked the hydrograph so you can compare the height of those discharges with the historical pre-development flood condition (click on the image to enlarge). You’ll note that the pre-development flooding was still more considerable than even that. Below is remote imaging of the Colorado Delta as a result of that flooding (left) and its more normal dessicated condition (right). 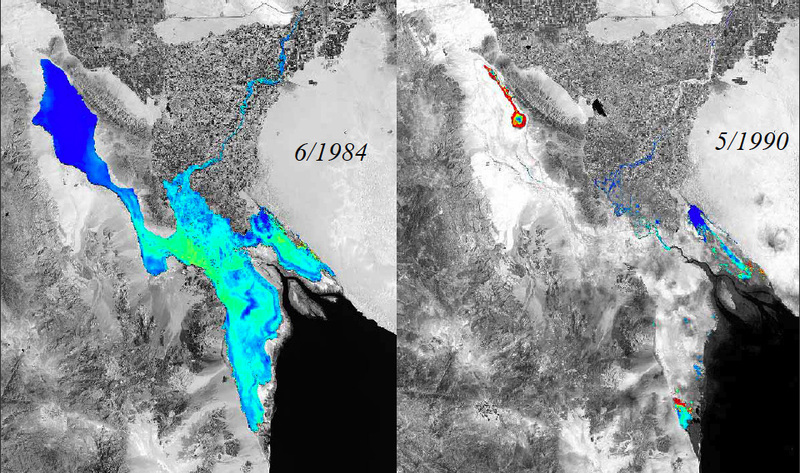 So imagine an even larger delta as its baseline condition (described in Wikipedia as 1,930,000 acres), and then that image on the right as what we’ve done to it. Lot easier to imagine that steamship now. I was at the Quartermaster’s for a riparian restoration workshop, hosted by Fred Phillips, a landscape architect I’d met in Flagstaff. I mentioned Fred and his work on the Colorado River in a previous post. 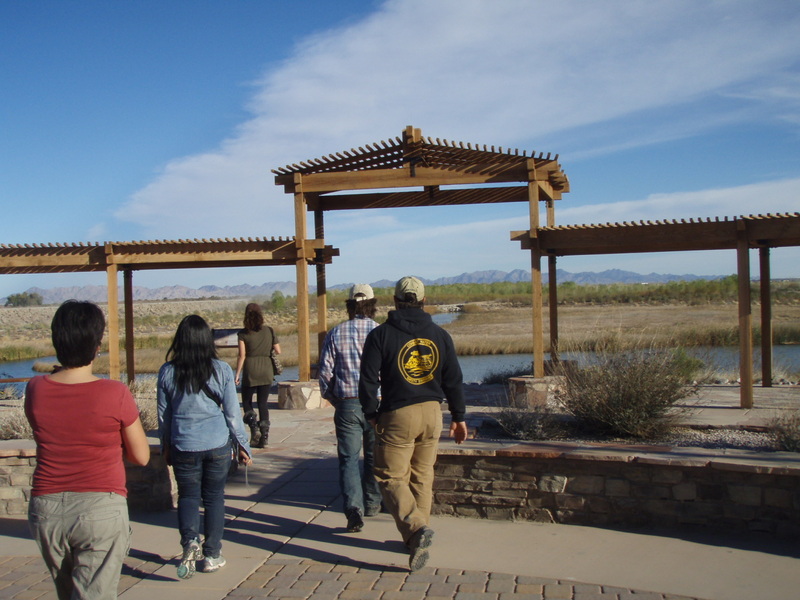 Fred had invited me to the workshop, and kindly agreed to give my Cal Poly graduate students a tour of one of his sites, the Yuma East Wetlands. Fred’s speakers covered topics ranging from the Multi Species Conservation Program (MSCP), the Bureau of Reclamation’s plan for managing habitat for endangered and threatened species along the river corridor; fire and safety management; lessons learned and successes with planting and irrigation strategies; invasive species removal. The workshops were very focused on what works and how to get projects in the ground. The goals were clear. In the comfort of these adobe walls, I was heartened by the sense of the possible, of a hard-won collaboration that began with breakfast meetings at the local cafe, winning over stakeholders one by one. 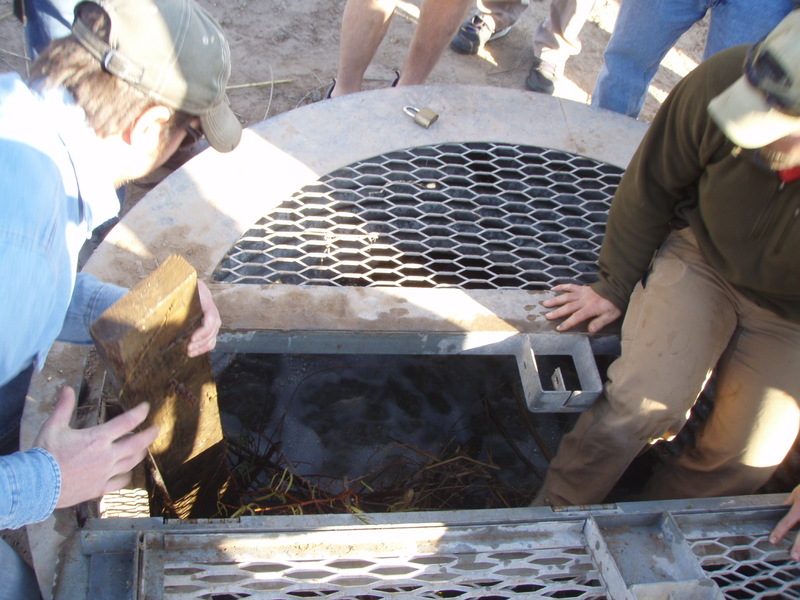 We then went out to the field, to the Yuma East Wetlands. 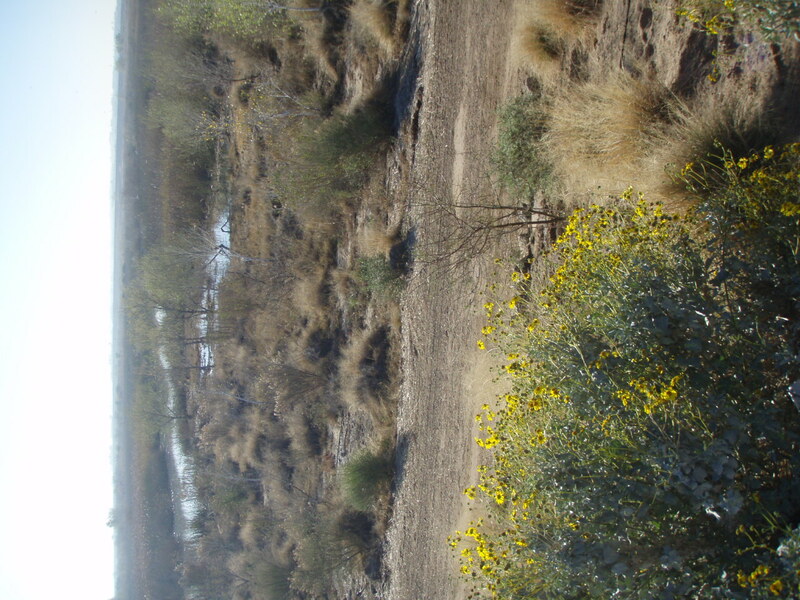 The wetlands lie off-channel, separated by levees from the Colorado River, but in its former floodplain. Before you can fully appreciate what has been achieved, a brief description of what was, and elsewhere on the river, still is. The river is maintained as a fairly uniform channel. Along the top of the banks there is dense fringe of vegetation as well as access roads atop levees. Where we walked, there was a 100-200′ wide vegetation zone between the channel and adjacent land uses, mostly ag fields. Mighty phragmites, conqueror of native riparian habitat. Beyond the restoration areas, this dense vegetation is comprised mainly of stands of non-native, invasive tamarisk and phragmites. But these weeds, it turns out, have actually been habitat for someone – the homeless. As in Los Angeles, and probably everywhere else in the United States, homeless populate abandoned, underutilized public lands. As Fred and his crew tunneled through the tamarisk, they met inhabitants who’d camped on the river for extended periods of time – through winters with freezing temperatures, and summers as hot and dry as Iraq. One homeless man had an opuntia farm going in the middle of a thicket which he somewhat reluctantly abandoned to re-create on the opposite bank where no work was planned; another was willing to join forces with the restorationists – becoming a crew member and guardian along the river. I was shocked to learn that these homeless came to this bank along the Colorado River by way of a bus from Los Angeles. Some government party (described vaguely as “the city”) loaded them up and sent them away, the homeless equivalent of deportation, and to such a challenging environment to survive in. Sound familiar, Angelenos? This can’t be legal, right? I despair that there may never be accountability for this act. The water of the river is itself highly contaminated from decades of agricultural chemical runoff. It’s actually not potable – years ago a MWD staffer told me that when it comes to LA it has to be “cut” with potable water to bring it within drinkability standards. As I write this, I wonder about Clean Water Act enforcement – where is the swimmable, drinkable, and fishable in the management of this river, where again is the accountability? 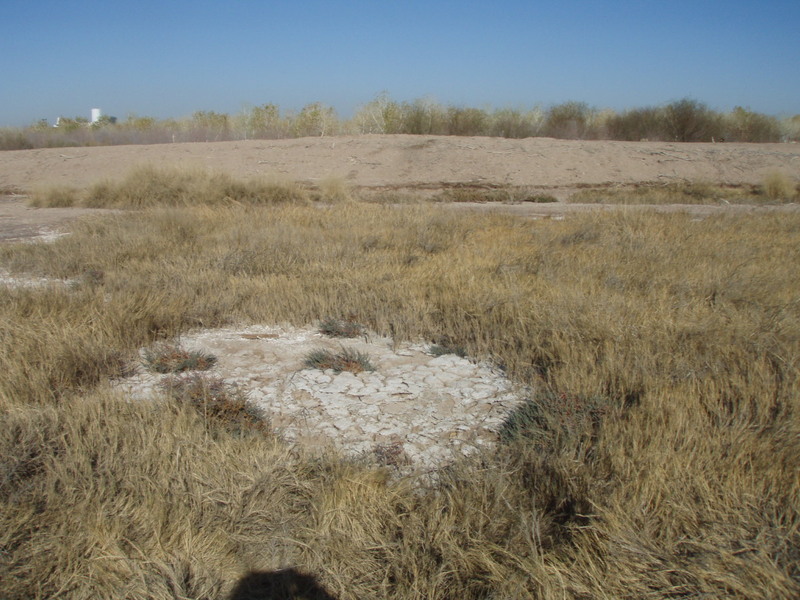 Saltgrass and pickleweed plantings return habitat value to this highly saline wetland cell. And the sustainability? The terrain, beyond the river’s banks, is often cracked dry and mottled with salts. Take a naturally somewhat saline landscape and add decades of agricultural chemicals and eliminate cleansing floods and their nutrient-replenishing sediments. Put this into the perspective of disappeared great civillizations, as Dikilitas et al (in Ashraf et al) observe: “the collapse of the Babylonian Empire is considered to be partly the result of failure of irrigated crops resulting from the accumulation of salts.” And with relatively primitive technology, it took them a good few centuries to make that happen. Seeing this, I wonder at the life-span of modern agriculture, the half-life of its destructive footprint, the machinery (political and physical) that keeps it all going, grinding the river and its floodplain deeper and deeper into an ecological stupor. And what’s an ecological stupor without a little irony? 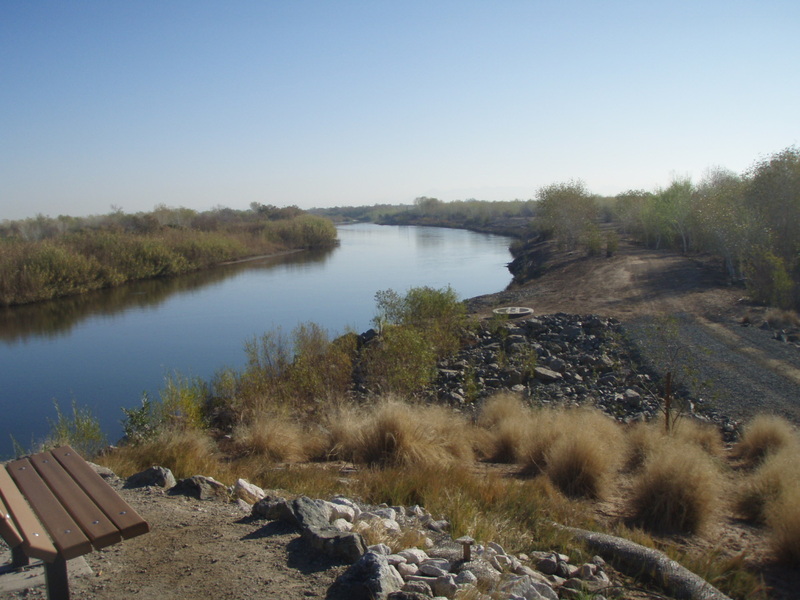 In agricultural Yuma, which receives its share of subsidized Colorado River diversions, the groundwater is so high that it has to be pumped in order farm the land. 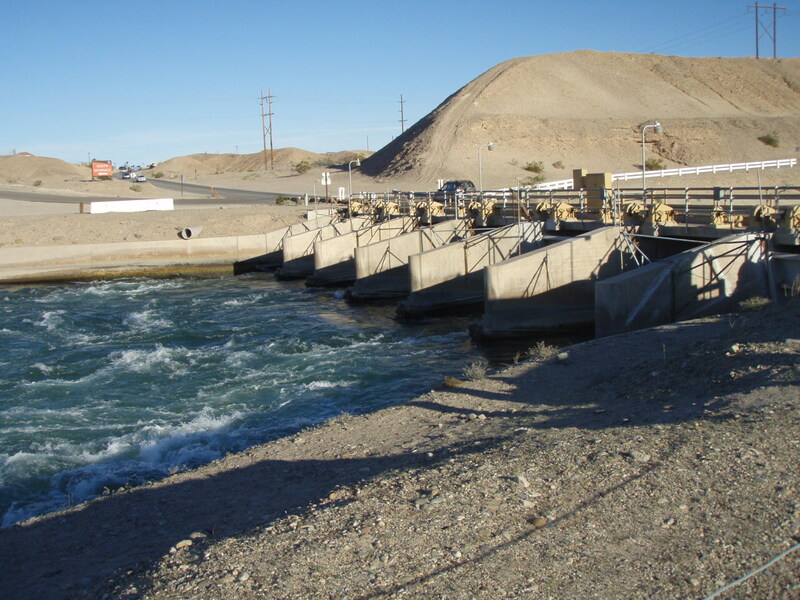 Speaking of subsidies, on the California side of the river, the going agricultural rate for one acre-foot of Colorado River water is $20 (according to the Pacific Institute, it can be as low as $2). Some of this is being resold to San Diego water users for $258/acre-foot and more – a handsome profit on top of a very pretty initial subsidy for Imperial Valley farmers. This doesn’t include the conveyance fees charged by MWD, or the cost of treating this nonpotable water. By comparison, it can cost $550 – $700/acre-foot to bring Bay Delta water to Southern California urban water users. So the river is coming at bargain barrel prices to alfalfa and lettuce farmers. And no one is inclined to disrupt that flow. 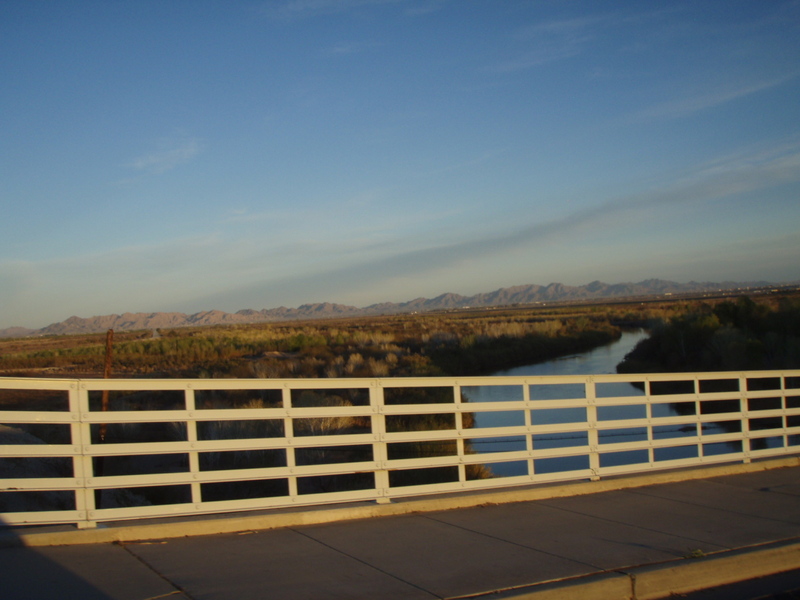 It is in this context that the achievements of the Yuma Crossing National Heritage Area can be especially savored. Here, acres of dense non-native vegetation (tamarisk and phragmites) had been cleared out along the river’s banks. Cottonwood and mesquite bosques have been planted. Beaver have really taken to the restoration, keeping Fred and his crew innovating on the best ways to protect young trees. Wetland design incorporates the actual rhythms and flows of the water provided. Remember the pumped-groundwater story? Here the concept of a seasonal wetland is used to convey some pumped groundwater discharge, maximizing its habitat and aesthetic effect. Note the absence of precisely graded 3:1 slopes, concrete, rip rap, gabions, chain link fences, and preachy behavioral signage. It simply is. Further along, underutilized ag lands adjacent to the levees have been repurposed as wetland cells. These wetlands are a miracle of resourcefulness, putting unallocated agricultural wastewater and pumped groundwater into the wetlands cells. The cells have “stop-log weirs” at the river’s levee that allow the water to back up in the wetlands, allowed to seep through or be fully released. 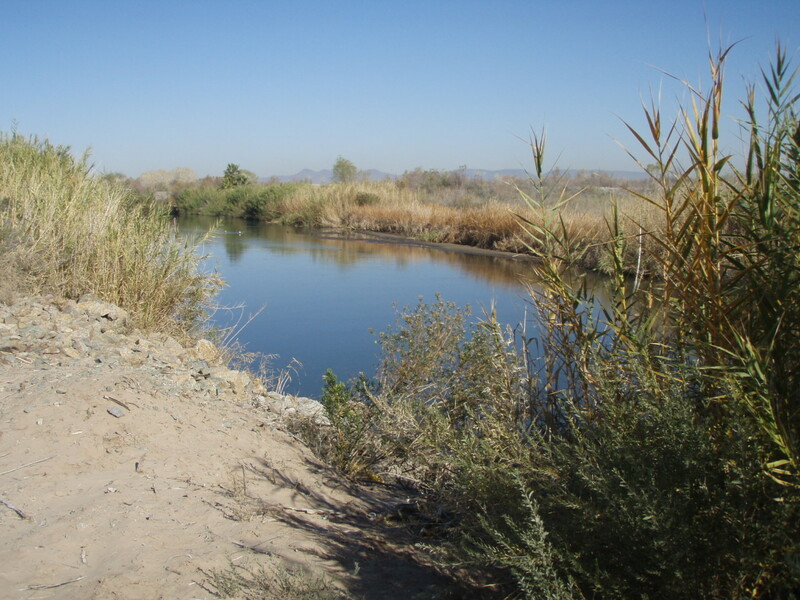 One wetland has a channel that follows the historical alignment of the Gila River, which was redirected elsewhere. Large wetland cell re-creates floodplain backwater habitat. Those rascally beaver are busy occupants in the wetlands, borrowing wood from the stop log weir while alternatively helping to rebuild it. Talk about taking ownership of a project! Beaver dens have been noted in the wetlands. Beaver thought they’d help out by adding wood to the stop-log weir. This didn’t quite jibe with the plan. Spoils dredged from the wetlands were used to create an overlook on the river levee. View of a wetland cell from the overlook. The view up-river from the overlook. The grate/cover of stop-log weir is in the mid-ground. Planting the acres and acres of this site involves incredible coordination and solid leadership. At the workshop back in the Quartermaster’s, Fred and one of his staffers, Charlie Morgan, had talked about team mobilization, and about pre-project staking of willows and cottonwood they’d done to produce the stock they’d need. Here you see some of the crew preparing willow bundles. Before installing willow stakes it’s a good idea to soak them. 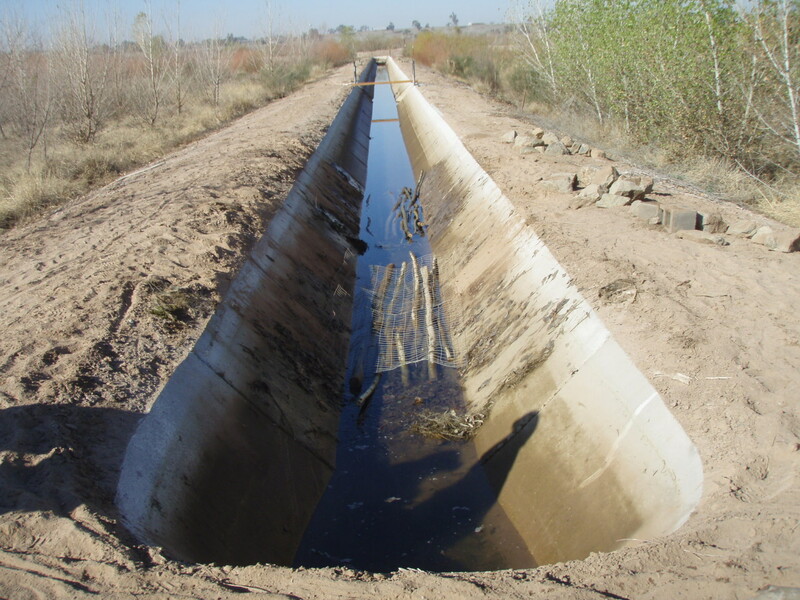 The team found it worked best for them to make use of the abandoned agricultural infrastructure, such as this irrigation ditch, rather than regrade the entire site. 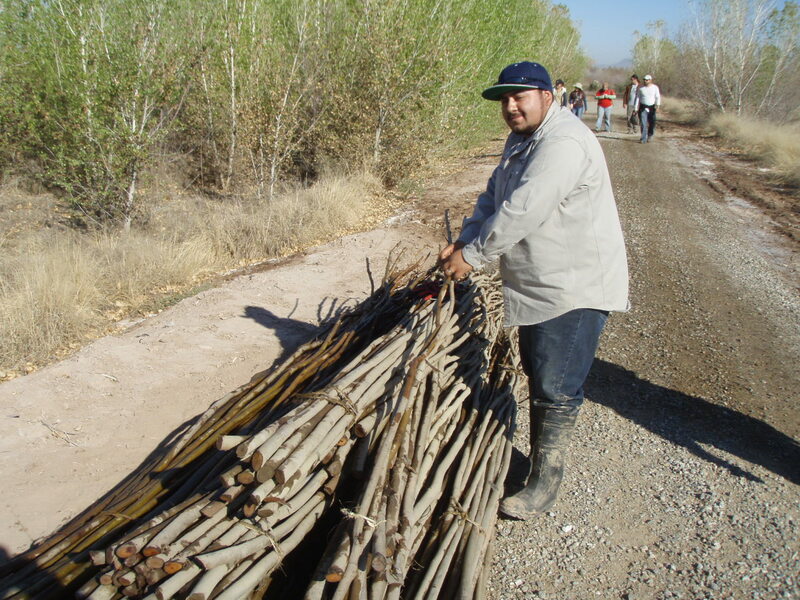 This ditch can then be used to prepare willow and also provide periodic flood irrigation, mimicking the natural regime, which they found resulted in more robust riparian trees and shrubs than drip irrigation. It hurts a little to look at this photo. See, not long after this site, Proteus OX-19 struck me down. It was not fun and I ended up at the Yuma hospital, where the medical establishment scratched their chins and sent me home with a hefty bill and paperwork informing me I had Chronic Fatigue Syndrome. Ummm yeah…. 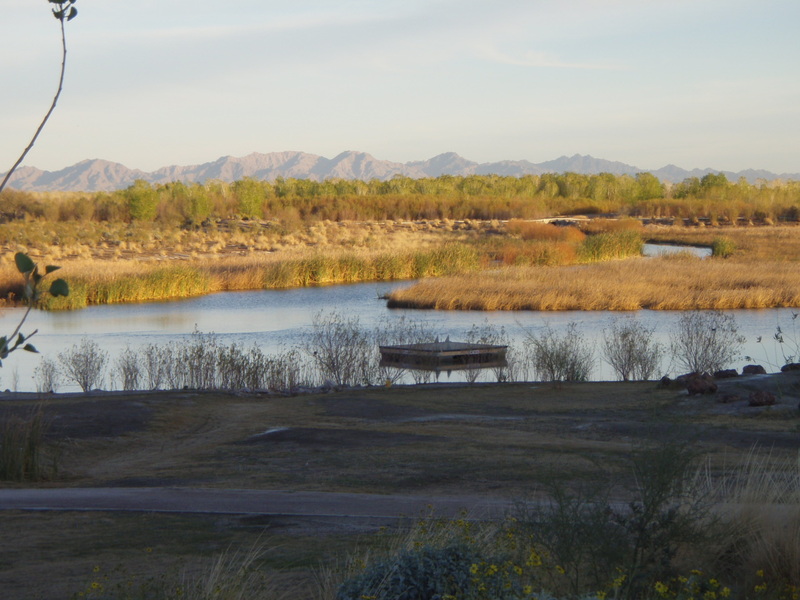 The Yuma East Wetlands is just one of several sites that Fred and Co are restoring. The following day, he took my Cal Poly graduate design studio over to see another site, Sunrise Point Park on the Quechan Indian Reservation. Here, space for ceremonies, gardening, hanging out, and just taking a nice walk have come together with a wetland cell restoration. We took the walk. 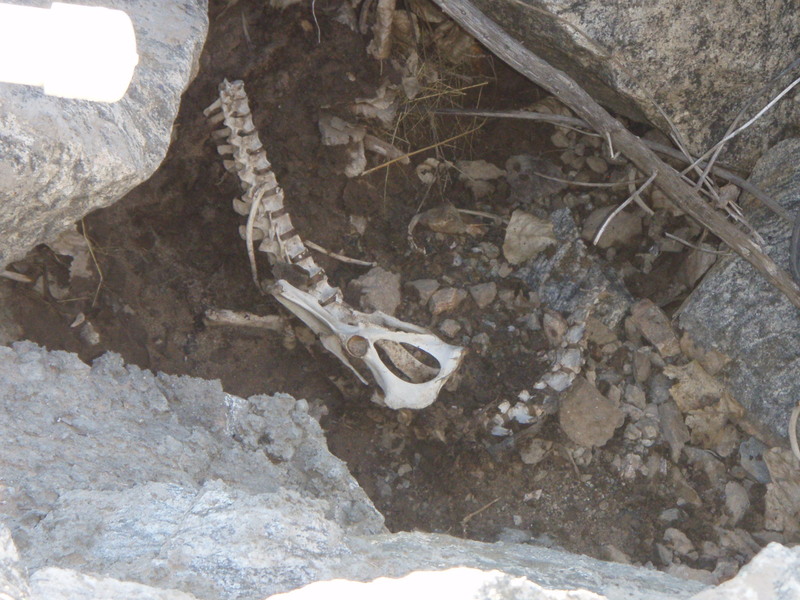 And on that walk, a couple of anonymous Creekfreaks got very distracted by deathly remains. We They made Charlie get up close to it to reassure everyone it wasn’t human. Because, you know, city people have big, sordid imaginations, and very little actual experience looking at dead things. But then again, at least one of us was in a morbid, and literally infected, frame of mind. The next day, Josh Link, his business partner Aron Nussbaum, and I hit the highway for the Algodones (which means cotton, by the way) border crossing to meet up with Osvel Hinojosa-Huerta and two of his crew, Juliana and Isobet, of ProNatura Noroeste, working to restore the Colorado River and its delta, against even greater odds than Fred in Yuma. We paused at the All-American Canal, somewhat awestruck by the sight and sounds of the immense diversion, the perfection of its blue water, the peculiarity of ducks bobbing in it. Bye-bye water. A few yards from here was the border crossing, an acre of shadeless asphalt for parking and a quick jaunt on foot. The ProNatura folks were waiting for us, good-spirited at 8 am on a Saturday. Osvel had driven there this morning from Tijuana to meet us. I’m amazed and humbled by the kind of generosity that implies. We headed off to Morelos Dam, the hydrologic border crossing, dividing the river between flow and dirt, the US and Mexico. You’ll see – next up is Josh Link’s account. I got to see some of the sights, but my battle with Proteus OX-19 was heating up – landing me in a medical clinic in Rio San Luis Colorado, MX, where for an incredibly decent price, one can get an actual diagnosis. great post even though it makes me sad… i need to go visit my river now. I love the restoration projects, and the fact that the beavers came back in (and weren’t shot). I wish there were a way to convince or train beavers to eat tamarisk and phragmites… then it would get rid of the negative feedback loop of them loving the yummier cottonwood. I just came back from a trip, the guy sitting next to me on the airplane – after quizzing me about how he can restore his creek on his property, shared that he’d killed a beaver that was making too much use of the wrong trees. It made me think of this comment on yours. Figuring out shared use of landscapes with beavers and private property owners would indeed be a great thing. If you hear of someone who’s working on that issue – please post or share! I’d happily link to Slow Water Movement on that topic!! Fantastic post, which I just read while driving back to LA from Tucson, where I attended the Arid Low Impact Development conference. (And I hope my iPhone doesn’t decide to do away with my comment before I successfully post). While in town, I picked up a copy of Craig Childs’ The Secret Knowledge of Water, in which he poetically posits that there are two easy ways to die in the desert: thirst and drowning. Having spent the week nearly as far south in the Lower Colorado Basin as one can go without crossing the border, I realize Childs’ quote applies to ecoliteracy, and even more so to hydroliteracy — with a huge divide between those painfully aware of the realities facing the American West, and the vast majority of those woefully and blissfully ignorant. Thirst and drowning. Yet I can’t help but push myself to see the glass as half full, so to speak. Even amid the arid sprawl dotted with green lawns and otherwise highly-engineered, hydrophobic infrastructure, there is a glimmer of hope. To begin with it’s almost startling to see every overpass above creeks and rivers accurately and unapologetically name the water body below it, despite the extremely temporary showing of the desert’s ephemeral streams. In LA we could learn a thing or two from our desert neighbors in this respect. In our fair City of Angeles many still scoff at the nomenclature around our own urban creeks, streams and rivers, even though we have a visual reminder that they do in fact carry water much of the year (nevermind that much of that flow is dry weather runoff and treated wastewater). I also see hope in the steady progress that players like Brad Lancaster, the Watershed Management Group, and the City of Tucson are making as they shift from watershed management as prototype to watershed management as status quo, involving residents and volunteers in that shift. As I now pass the curiously green sprawl of Phoenix, perhaps among the world’s biggest offenders of resource mismanagement, I’m keeping my fingers crossed that the glass of hope is indeed half full, even as the glass of water dries up. After all, it’s our stubborn hope that keeps us doing the work of healing our watersheds, isn’t it? Thank you Emily, for the “bugbear” point! A student of mine also uncovered this point, that as long as there is a solid stand of willow nearby to supply food, the tamarisk can be an effective shelter for the flycatcher. but the question is, with tamarisk in the ecosystem, will there remain a solid stand of willow nearby (or anywhere?) Perhaps the answer is yes, perhaps it is no, but if the answer is no we won’t know until too late. When I was a child I saw a documentary titled “Where did the Colorado go?” on tv. I don’t think I understood it well enough to see the implications, but I remember being struck by the idea that the Colorado river did not make it to the sea anymore. Apparently it had been on youtube, but I couldn’t find it there. It’d be interesting to dig it up to explore what issues were relevant then, and how they might speak to current conditions. Indeed, Pladdis. I haven’t heard about this doc – interesting to note that there’s been voices observing the impacts for a long time, and yet the critical mass for change has been wanting. Hopefully we are closer to getting there now. a plant is a plant, it isn’t inherently evil or anything, but I don’t understand those who say it isn’t invasive and isn’t causing problems. though it’s true that without altered hydrology in rivers, it probably wouldn’t be as bad as it is. Emily’s a critical thinker and I think she’s just asking me to acknowledge that a lot of desert ecologists have been giving tamarisk another look. I agree with you that removal would be preferable, but with the limited resources and altered flood regimes, if people are finding that it offers some habitat then I can understand why living with it would make sense. 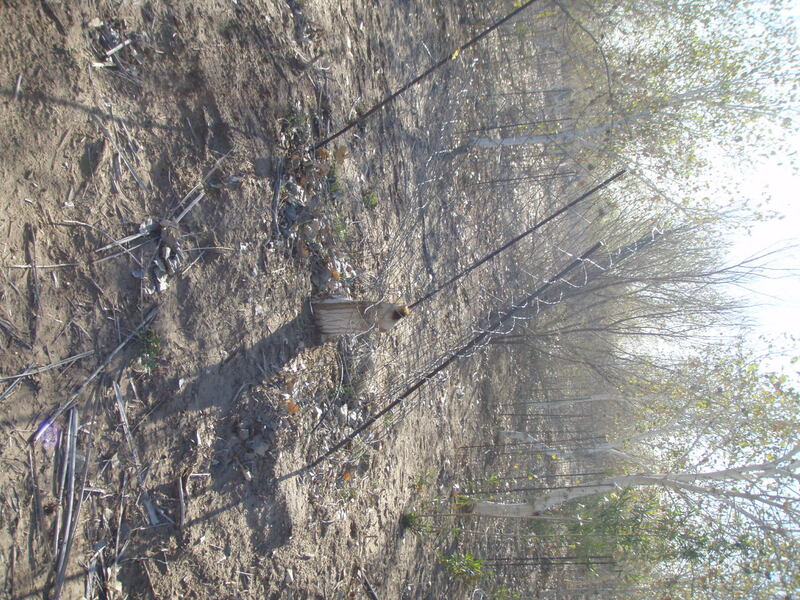 I think your question, about the survivability of willow stands in competition with it, is the deciding one. 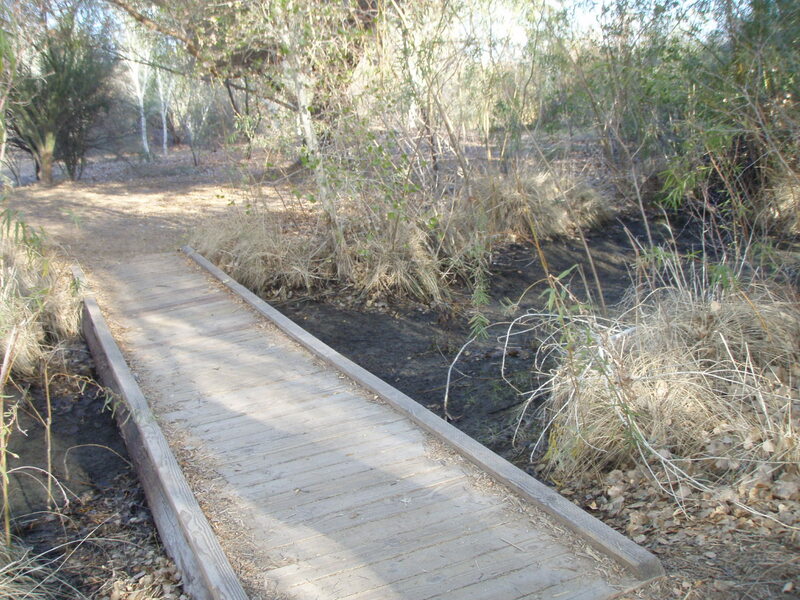 I mean… I agree we will never fully be able to get rid of it, and certainly some efforts need to be looked at especially those in areas of highly altered hydrological regime – perhaps we should spend less time trying to get rid of tamarisk in those areas since conditions have changed so much. 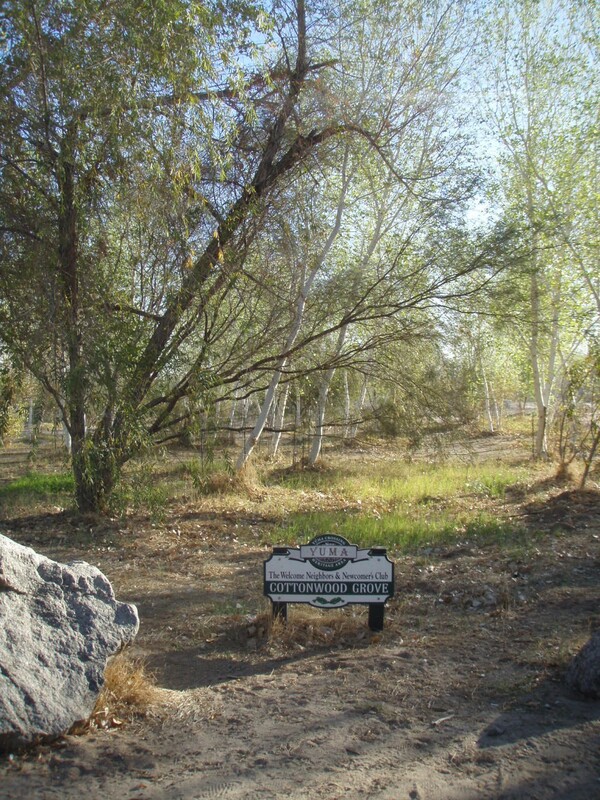 But… I am thinking back to the controversy over the tamarisk beetle… biocontrol issues aside, so many people were opposed to beetle release because it COULD temporarily harm a bird that occasionally nests in tamarisk but needs willows to survive. Willows that are being displaced by tamarisk. Also, it eats bugs. Very few native bugs eat tamarisk. My guess is if tamarisk displaces the willows completely, like it looks like it will, the willow flycatcher will be extinct in the Southwest in the next decade or two, unless the beetles released further north adapt to the southern environment. The worst case scenario was never that the beetle might eat cottonwood, or even harm one endangered species. The worst case scenario would be the beetle not removing tamarisk. We also achieve that by not releasing it. You can make all sorts of metaphysical arguments about native, invasive, and introduced species, but the bottom line is, we choose what we manage for, and doing nothing is not an option (what most people call doing nothing is deciding not to call the fire department after they lit the house on fire 5 minutes ago). Doing damage to ecosystems, including that which harms humans, and then walking away, seems like the wrong choice. Yes in the next 10,000 years the desert will work things out, but what are we left with in the mean time? Tamarisk and star thistle and wal-mart on every corner across vast regions, nothing to make a place unique, a world with the false veneer of control painted over it, with the diversity and sense of place largely lost. No thanks! is it possible to train beavers to eat tamarisk? Or is it too salty to provide them nutrition? it’s a great question, Charlie. Sounds like a dissertation and potentially very handy skill to cultivate. 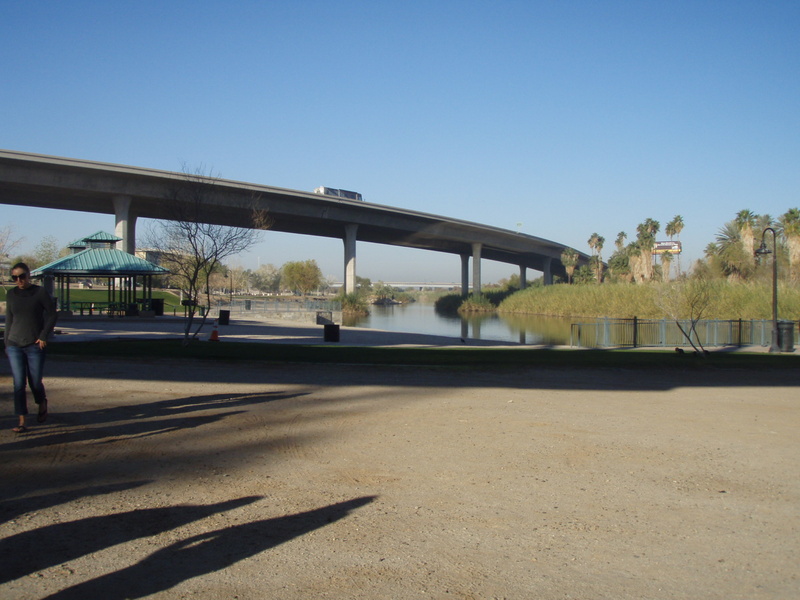 You are currently reading Explorations of the Lower Colorado River #2: the River in Yuma at L.A. Creek Freak.